Living Large: From SUV’s to Double D’s, Why Going Bigger Isn’t Going Better by Sarah Wexler, is a well researched, well written, and humorous tale of America’s fascination with all things large. Sarah immerses herself in her subjects and by so doing, gives us an understanding of ourselves that should open our eyes. Topics include: houses, weddings, breast implants, hotels, landfills, churches, shopping, and debt. 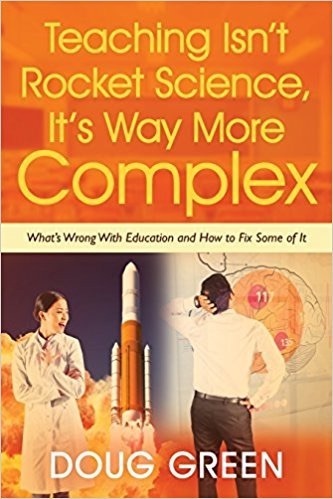 This book is ideal for leaders, educators, parents, and students from middle school on up. Click here for my summary of Living Large. This entry was posted on Monday, January 24th, 2011 at 3:59 pm	and is filed under Book Summaries, Business Books. You can follow any responses to this entry through the RSS 2.0 feed. You can leave a response, or trackback from your own site. Great summary of a really though-provoking book. Thanks, Dr Doug! This is way better than a brick & mortar estalsbimhent.